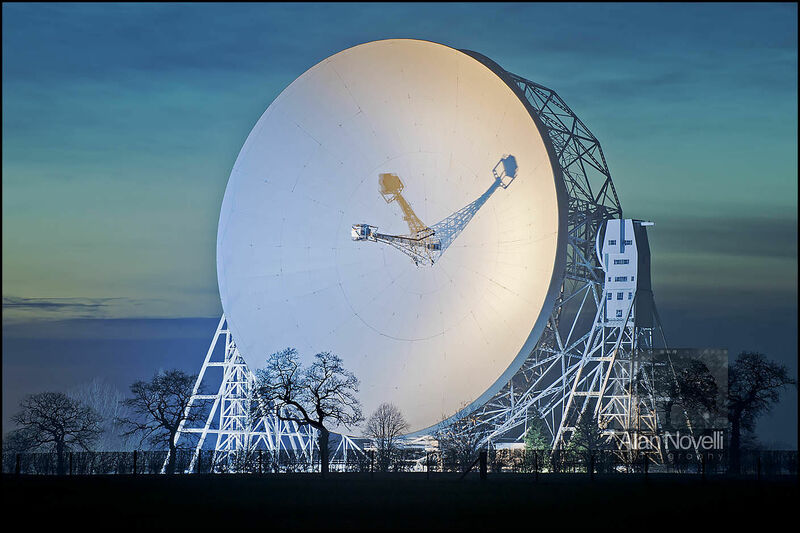 The huge dish of Jodrell Bank's Mk1A Radio Telescope stands over 200ft above the Cheshire Plain. For most of the year this marvel of the 1960's stands silently in the darkness, however for a few short days the BBC produces a live 'star-gazing' programme during which the telescope is floodlit. Here the silhouetted trees make a perfect foreground against the illuminated dish and give some idea of the scale of this landmark steel giant.